“Message : Error: Couldn’t switch the mailbox into Sync Source mode. Another administrator is currently moving the mailbox. The Microsoft Exchange Mailbox Replication service (MRS) doesn’t have the correct permissions. Network errors are preventing MRS from cleanly closing its session with the Mailbox server. If this is the case, MRS may continue to encounter this error for up to 2 hours – this duration is controlled by the TCP KeepAlive settings on the Mailbox server. The environment where I encountered this was an Exchange Server 2010 environment in a Database Availability Group (DAG) configuration. There where three DAG servers and two Client Access servers. 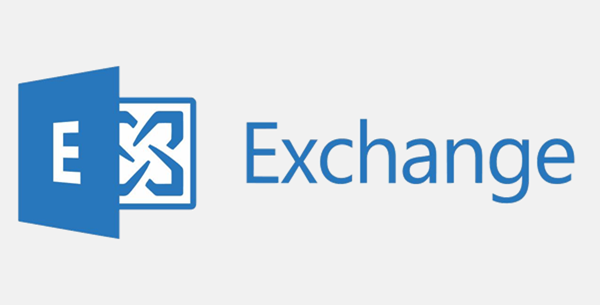 We placed two Exchange Server 2016 servers in front for the Hybrid connection with Exchange Online. This was a uncommon error for me, so I did some research first before proceeding with the suggested action to alter the TCP settings and request that the entire Exchange Server environment is restarted. I found several blogs with different solutions, rather then changing the TCP value. One of the suggestions was to run the mailbox repair option. I did this without success. I also tried an internal move request of the mailbox and it failed on the same error. After reading a blog by Brad Hughes on the topic, I found a interesting remark about the cause of the error. If it’s held in memory, what options do I have to ‘reset’ this, without restarting the servers? Because the source mailbox databases were placed in a DAG, I asked the customer to failover the mailbox database, which contained the error user. After the failover (which caused downtime for less then a minute), I recreated the move request again and this time the mailbox was synced to Office 365. I find this solution less disrupting and quicker than a reboot of an entire Exchange Server. The initial error was for a primary mailbox, but this error can also occur when a user has an in-place archive. In this case, for me, it was also enough to dismount and mount the mailbox database. Yes, you read it correctly; dismount and mount the mailbox database. The archive databases weren’t part of the DAG configuration. This action also triggers a memory reset. This is not an error that happens when you start a migration; I also got it five times during synchronization of mailboxes. The solution here was the same, failover or dismount/mount the mailbox database. I would suggest to not always go blindly with the Microsoft suggestion for the fix. Investigate the root cause is of the problem. Yes, the Microsoft suggestion would have fixed it, but for the suggested fix to work, you need to restart all Exchange servers. This will cause a failover or dismount/mount action of the mailbox database. For me it was just enough to just failover or dismount/mount the mailbox database(s) to get the synchronization starting or continuing. Without disrupting the rest of the organization, and aiding me in meeting my deadlines as a consultant. I hope this helps for you, too. As a consultant I do a lot of migrations or assist in them. In this case I wrote my own script for processing the information generated by the Mailbox Replication Service. This service is used in Microsoft Exchange on-premises and in the cloud for migrating the mailboxes between databases or environments. After multiple times doing the administration and processing of information manually. I decided to create my own processing script to retrieve the desired information and make it re-usable in Excel or other tooling, to export gathered information to CSV file format. I named the script Get Move Request Report script. The script is provide as-is and maybe be used at your own risk. Version 1: This is the first version and it’s basic. No advanced switch options or logging. 1. Creates an overview of the Bad Items it found in the move request report. 2. Creates an overview of the basic move information of the move request statistics. 3. Creates an overview of the extended information of the move request statistics. 4. Creates an overview of information that quickly can be used for reports to stakeholders. When you execute the script and no parameters are given. It generates a bad items overview, basic move information and extended move information output of all existing move request in scope. To use the script, you already need to have an Exchange PowerShell session open to the target environment (on-premises or cloud), where the move request are created. I hope this is also useful for your migrations and have fun with the script. As time goes and report demands change. I will update the script on this blog to keep you up-to-date. In this blogpost I want to address two real-life cases that I encountered in the same Microsoft Office 365 tenant. The reason why I address the two issues in this one blog is because the errors and steps to resolution, were identical for both issues. The issues occurred in a cloud-only tenant. The tenant has multiple custom domains configured, and in use. The tenant consist of multiple user accounts and shared mailboxes. There where no external scripts or data sources that are feeding into the Azure AD tenant with account information or automated management tasks. I was called in to resolve the issues. Names and domains are anonymized for the purpose of this blogpost. The first issue occurred after a user account deletion and recovery. There were two accounts, that were converted to shared mailboxes. The issue here was that mailbox 1 was accidentally deleted. We used the recovery page in the Office 365 Admin Portal to restore this account. When we did this, we couldn’t change the primary address of both shared mailboxes. We hit an error stating that the proxy address already existed on the other account. On both accounts it was listed as a proxy address in Exchange Online and in Azure AD. It should be impossible within Exchange Online to have the same proxy address on multiple accounts. The second issue was that the customer requested a shared mailbox was to be deleted , but the customer asked for a empty shared mailbox with the same name some days later. This mailbox was created, full access rights were delegated and people started working with the mailbox. When I was handed the case, the customer reported that they couldn’t access the mailbox anymore. When I looked in Exchange Online, I saw the mailbox still listed on the Shared Mailboxes page. In the Office 365 Admin Portal, I didn’t see the user account. Instead, it was listed on the Deleted Accounts page. We performed an account restore. This was successful, but not the solution to get it working again. The information we started with for resolving the issues was that both accounts/mailboxes are visible in the Office 365 Admin Portal and in Exchange Online on the Shared Mailboxes page. When both accounts were visible and active again, we tried to manage both accounts from the Exchange Online portal. Mailbox 1 gave an error in the management website; the account wasn’t located on the Domain Controller. Mailbox 2 gave an error, when we tried to alter the proxy addresses; the proxy address already exists on Mailbox 1. I opened an Exchange Management Shell connection to the tenant, and tried to change the information there. I received the same errors as in the web interface; User not found and proxy address already exists. I checked if the accounts in Azure AD were correctly mapped to the Exchange Online accounts, by changing their display name. Within five minutes the information was updated in Exchange Online. So we know that the mailboxes are correctly mapped to the Azure AD accounts. So I listed the mailbox information through the Exchange Online management shell. Here I discovered that on both mailboxes the attributes WindowsLiveID, and MicrosoftOnlineServicesID, contained the same UPN, edatorial@custdomain.onmicrosoft.com. Based on that discovery, I decided to update the UPN of both accounts. First I altered the UPN of mailbox 2, because this mailbox was already set to edatorial@custdomain.onmicrosoft.com . I updated the UPN of Mailbox 2 to edatorial@custdomainB.com and waited on the internal sync of Azure AD and Exchange Online. After five minutes, I checked the attributes WindowsLiveID and MicrosoftOnlineServicesID on Mailbox 2; these where updated to the new UPN information. Then I removed the edatorial@custdomain.onmicrosoft.com as an alias on Mailbox 2. This was successful and no errors were shown. Mailbox 1 wasn’t fixed after this. I decided to perform the same action on mailbox 1 as I did on mailbox 2. First I changed the UPN from edatorial@custdomainA.com to edatorial@custdomain.onmicrosoft.com in the Office 365 Admin Portal. Also I changed the display name back to how it was, to see, when the account was updated in Exchange Online. When this was changed, I changed the UPN back from edatorial@custdomain.onmicrosoft.com to edatorial@custdomainA.com in the Office 365 Admin Portal. After five minutes I checked the WindowsLiveID and MicrosoftOnlineServicesID attributes on Mailbox 1; these were updated to the new UPN information. Also it was now possible to manage the mailbox again. Something curious happened 15 minutes later, though. Mailbox 1 was deleted again from Exchange Online and Azure AD. When I looked on the Deleted Users page in the Office 365 Admin Portal, the account was listed there again. We initiated a recovery once again and this worked as designed. Now the account was usable and working again. In the audit log of Azure AD, I couldn’t find the delete action, so determining the root cause of that spontaneous deletion was impossible. The information for resolving started with that the account was restored in the Azure AD Portal. The mailbox was already visible in Exchange Online. After the Azure AD account was restored, I checked if I could manage the mailbox again from the Exchange Online admin page. I only found an error; the object couldn’t be found on the Domain Controller. As with Issue 1, I checked if the account was correctly mapped to the mailbox. I updated the display name and five minutes later I saw the change in Exchange Online. So I confirmed that the objects were mapped to each other. Based on the experience with Issue 1, I checked if the attributes: WindowsLiveID and MicrosoftOnlineServicesID were the same. This was not the case. The attributes were pointing to tooling@custdomain.onmicrosoft.com instead of tooling@custdomainA.com . As solution to this problem I decided to change the userPrincipalName (UPN) from tooling@custdomainA.com to tooling@custdomain.onmicrosoft.com. This time, the change wasn’t picked up by Exchange Online. We already checked the integration, so I decided to delete the user one more time from the Office 365 Admin Portal. Also I waited on Exchange Online to see if the mailbox was deleted from their side. This was the case. So now both the Azure AD account and Mailbox where in a soft delete state. Now I restored the Azure AD account from the Office 365 Admin Portal and five minutes later the mailbox was also recovered. This time we could manage the mailbox again. So as the last step in the solution I changed the UPN one more time from tooling@custdomain.onmicrosoft.com to tooling@custdomainA.com and this was now processed by Exchange Online. The attributes WindowsLiveID and MicrosoftOnlineServicesID were the same as the UPN in Azure AD. At time of writing this blog, I still don’t know what caused both issues. All management tasks of the tenant are done through the Office 365 Admin Portal and Exchange Online. The actions I took to resolve Issue 1 were on January 9th. When I was called in to resolve Issue 2, two days later, I saw that this account was deleted on January 9th. If I were to guess, the problem may lay in the automated recovery procedure and automatic health tasks within Azure AD. I’m still trying to reproduce the issues, to point to a probable cause. I hope that this blog was informative and useful in the future, when you might come across similar issues.